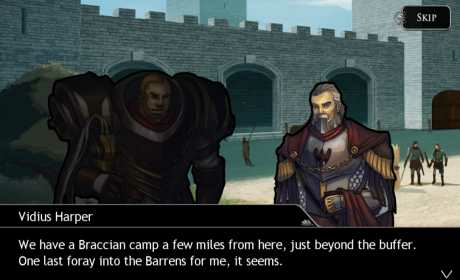 Experience the award-winning wargame, Ravenmark: Scourge of Estellion, where epic fantasy and turn-based strategy unite! Upheaval and chaos approaches the ancient Empire of the Raven. 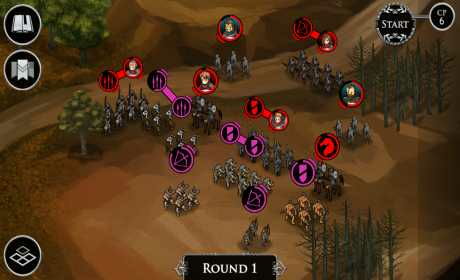 Ravenmark: Scourge of Estellion is a turn-based wargame, where strategic troop placement is essential to succeess. Battles employ a dynamic “we-go” system where the actions of allies and enemies unfold in a simultaneous battle phase. Commanders must to think ahead, anticipating all movements of their enemies instead of just reacting to them. Explore a myriad of tactics at your fingertips with intuitive touch controls and unique management systems, like the Formation system: Group up to three units of a kind into a single formation, which enables special abilities and buffs to crush enemies quicker. The Standing Order system offers A.I. assisted commands that address the headaches of micro-managing the entire army every round. Use these tools to develop your own novel strategies and overcome the odds! 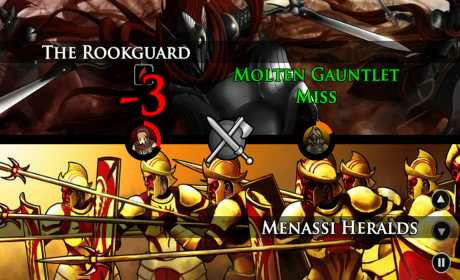 A rousing cinematic soundtrack underscores the tension and drama that unfolds in the battlefields of Ravenmark. Composed by Josh Whelchel, lauded for his work with Scrolls, Castle Story and Wind-up Knight, the music will immerse you ever deeper into the world of Eclisse! Venture into the Codex, an in-game encyclopedia which documents the richly storied history and cultures of Eclisse. Unlock new entries as you progress through the campaigns and encounter new nations, characters, locales and more!